Levadopa, also known as L-DOPA, is currently the most effective medication for Parkinson’s. However, after a few years of treatments, half of the patients develop involuntary, repetitive, rapid and jerky muscle movements--a condition called dyskinesia. Though this side-effect ends when L-DOPA treatment stops, it returns fairly quickly when the medication is resumed, even if there have been several months between treatments. A UAB study recently published in the Journal of Neuroscience reported their findings, which included a major cause a of L-DOPA-induced-dyskinesia or LID. They found that L-DOPA led to the wide-spread reorganization of methylation, which alters the function of DNA. More importantly they have found treatments that can decrease this methylation and thus reduce dyskinesia. Dr. David Standaert, Professor and Chair of the UAB Department of Neurology and corresponding author of the study, explained, “L-DOPA is a very valuable treatment for Parkinson’s, but in many patients its use is limited by dyskinesia. Better means of preventing or reversing LID could extend the use of L-DOPA without inducing intolerable side effects.” While the treatments used in this study are not practical for human use, they may lead to novel therapeutic techniques aimed at the reduction of DNA methylation. Funding for this research came from the Alacare Mary Sue Beard Predoctoral Fellowship, the Jurenko family, the American Parkinson’s Disease Association, and the National Institute of Neurological Disorders. In another study funded in part by the American Parkinson’s Disease Association, researchers at UAB’s Department of Neurology are going after the genetic cause of Parkinson’s itself—a mutant LRRK2 kinase enzyme which contributes to the formation of inclusions in neurons. These inclusions are made up of aggregated alpha synuclein protein. This is the hallmark pathology seen in the disease. The research at UAB demonstrated that these inclusions can be kept from forming through the use of two LRRK2 inhibitor drugs currently under development for clinical use. Lead corresponding author Laura A. Volpicelli-Daley, Ph.D., states “These data give us hope for the clinical potential of LRRK2 kinase inhibitors as effective therapies for Parkinson’s Disease.” This novel neuro-protection strategy will need to be tested in other pre-clinical models before testing in humans can begin. Houses the Center for Neurodegeneration and Experimental Therapeutics – CNET – it has 11 individual laboratories with research projects including Alzheimers, Dementia, Huntington’s Disease, ALS, as well as Parkinson’s. 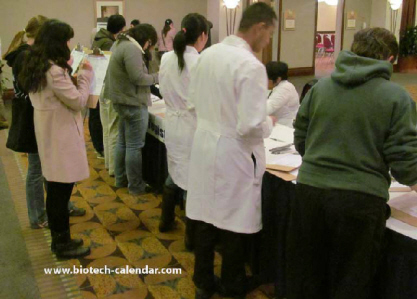 On Wednesday, November 9th 2016, Biotechnology Calendar Inc. will host the 17th annual BioResearch Product Faire™ at UAB. 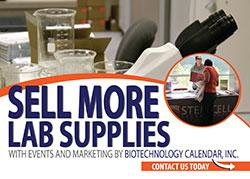 This event gives life science researchers the opportunity to meet face to face with laboratory equipment suppliers to discuss their needs and see demonstrations of the latest in science research products. Science professionals attend for free. Lab suppliers who wish to take advantage of this opportunity should call (530) 272-6675 or click the link below for more information.